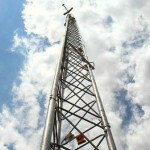 ZINGA is great for tower applications! For Towers, Monopoles, Mounts, and all Communication Applications, feel free to contact our expert Dana Lemmerman. Dana is the founder of Telecom Product Profiles, LLC and has over 35+ years of experience in the industry! 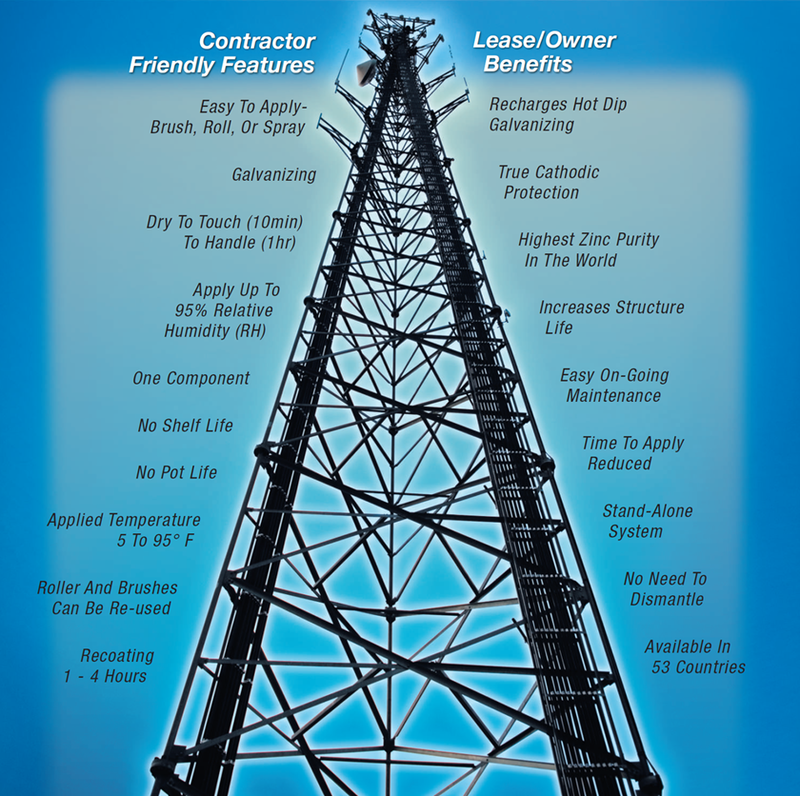 ZINGA is very contractor friendly and also provides benefits to those that lease and own towers! ZINGA is easy to apply via brush, roller, or spray. The rollers and brushes can even be reused. Great for ‘touch ups’ and making your old tower look new again! ZINGA provides true cathodic protection along with the ability to recharge hot dip galvanizing. ZINGA offers the highest zinc purity in the world! ZINGA is dry to the touch within 10 minutes and can be handled after just 60 minutes. It can be re-coated after just 60 minutes – a HUGE time savings! ZINGA can be applied in up to 95% relative humidity, and between temperatures of 5 to 95 degrees Fahrenheit. ZINGA is one component and has NO shelf or pot life.